BOSTON - Yesterday, the Sino-US BioTech Innovation Development Forum was held at District Hall in the Seaport District. 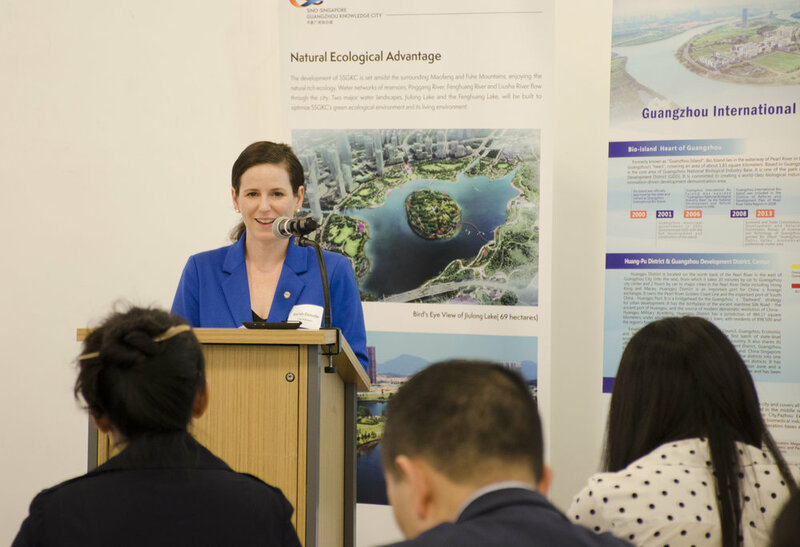 The event was hosted by the Guangzhou Liaison Office in Boston, and consisted of representatives from the City of Boston, MassBIO, Sino-Singapore Guangzhou Knowledge City, and Guangzhou International BioTech Island, among the many other notable groups and attendees. International Business Strategy Manager, Mayor's Office of Economic Development - Sarah Delude, offering opening remarks on behalf of the City of Boston. The forum began with opening statements by Sarah Delude from the City of Boston's Mayor's Office of Economic Development and Deputy Secretary of the CPC Working Committee of Guangzhou Development District, Minghe Tan, followed by presentations on Sino-Singapore Guangzhou Knowledge City and Guangzhou BioTech Island, highlighting opportunities for entrepreneurs and investors. The forum concluded with testimonials from entrepreneurs working with Guangzhou, and a panel discussion: How to Strengthen Sino-US Cooperation and Development in the Biotech Industry through Innovation & Integration. Covering an area of 123 square km, the Sino-Singapore Guangzhou Knowledge City (SSGKC) is one of the iconic projects of Sino-Singapore cooperation, The SSGKC project was jointly initiated by Guangdong and Singapore to serve as a model for economic transformation and industrial upgrading. SSGKC is positioned as a unique, vibrant, and sustainable city that is highly attractive to both talents and knowledge-based industries. In the next 20 years, SSGKC is expected to house a resident population of over 500,000 and will provide the ideal environment for work, leisure, learning, and life. The island's location is ideal for supporting the life sciences industry. Directly to the south is Guangzhou's Higher Education Mega Center, which features 10 different universities with over 120,000 students. To the north of the island lie Guangzhou's Central Business District and the Pazhou Exhibition Center, which provides easy access to financing and conferences. Administratively, the island lies within the Guangzhou Development District, which gives the island some of the best supporting policies for innovation and economic development in the entire city. Several international cooperation platforms have been built on the island, including China-Israel, China-EU, China-UK, China-USA, and China-Cuba cooperative bases. The island has one of the most eco-friendly environments in the entire city, with a green rate of over 47%, and a scenic location in the middle of the beautiful Pearl River. As noted by panel discussion moderator Dr. Jason Wen, Director of the Office of Technology Transfer and Licensing at Boston College, the key to Sino-US biotech collaboration lies within a fundamental exchange: the United States' wealth of biotech innovations and talent, and China's enormous market and eager investors. C-FDA Approval Easier - In China, the process for bringing a potential drug or biotech innovation to market is easier than in the United States, allowing for a faster to-market time. Government Support - There is a currently a huge push by all levels of the Chinese government to bring biotech innovation to China, and many generous policies have been put in place to support and encourage biotech innovators and researchers to settle in China and bring their products to market. Favorable Investment Environment - Many state and private-led investment firms and venture capital firms have been set up, precisely to target biotech innovation. This, combined with more lenient business regulations in general, make China an ideal place to go for biotech companies. "Boston has a highly developed, mature biotech industry, a steady supply of talented, highly-skilled labor, and a favorable investment environment. Since establishing relations with the city of Guangzhou in 2015, we look forward to strengthening and deepening our relationship, pursuing further cooperation and partnerships for mutual benefit." 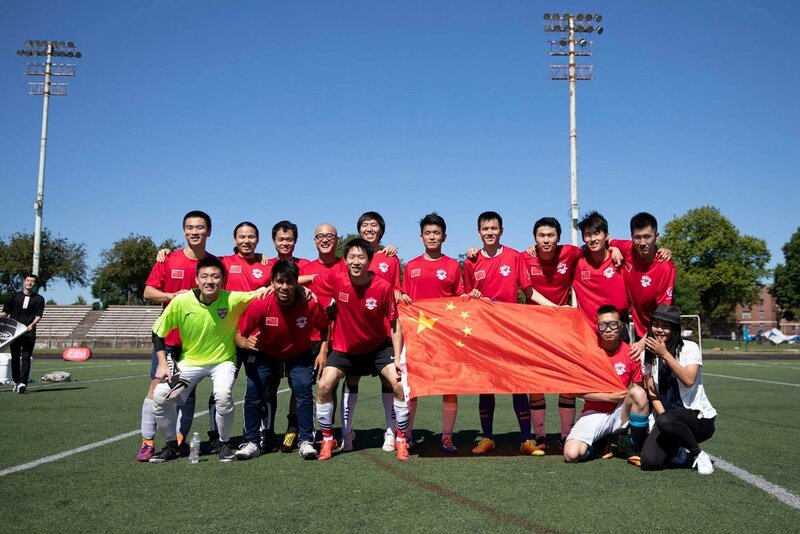 The Guangzhou Liaison Office in Boston supports Team China in the Inaugural Boston Unity Cup! BOSTON - In the spirit of this year's FIFA World Cup, Mayor Martin J. Walsh hosted the inaugural Boston Unity Cup, a city-wide soccer tournament designed to celebrate cultures and nationalities of Bostonians in a safe environment that promotes sportsmanship, collaboration and acceptance. Citizens from all over Boston representing sixteen different countries: the U.S., Somalia, Haiti, Mexico, Angola, El Salvador, Guatemala, Nigeria, Chile, United Arab Emirates, Cape Verde, South Vietnam, Ireland, China, Brazil and Italy vied for the first annual Boston Unity Cup at Moakley Park in South Boston through 7/6 to 7/8. In collaboration with the North American Sports Union (北美运动联盟), and the City of Boston, the Guangzhou Liaison Office in Boston helped support and organize “Team China” for this event. In the end, "Team China" made it to the final 8! We couldn't be prouder of our team. GUANGZHOU - Yesterday, a delegation of 14 different IAB (Intelligent Manufacturing, Artificial Intelligence, and BioTech) startups from various top US universities visited Huangpu District, Guangzhou Development District (GDD) in Guangzhou to meet with district officials, investors, and potential corporate partners from the area. Serving as the last leg of a startup roadshow of six different major Chinese cities, this event, called "Focus on IAB @ Huangpu", was co-hosted by IBM & MIT-CHIEF (MIT China Innovation and Entrepreneurship Forum), the organizer of the startup roadshow. The day consisted of a series of pitches by the startups, presentations on policies and services offered by the GDD, Q&A sessions, and targeted networking sessions between the startups, officials, investors, and corporate partners. By the end, of the 14 different IAB startups, 8 different teams had established initial interest in connecting with specific organizations in Guangzhou, making Guangzhou the most successful stop of the entire startup roadshow. As Mr. Yawei Zhou, Party Secretary for the district, expressed during the opening address of the event, Huangpu District, GDD is a unique place for innovators looking to grow and expand their business, and many have already done so; as of 2016, over 5,000 overseas students have registered over 1,000 new companies in the district. Huangpu District, GDD is based heavily on IAB, with these industries accounting for 50% of the district's output as of 2018. By 2022, the IAB output of Huangpu is expected to surpass ¥800 billion RMB ($120 billion USD), and account for around 80% of the city's total IAB output. Investment companies have taken note and have established many funds for the district as well. The government of Huangpu is one of the most open, direct, and responsive in all of China. As of 2018, all commitments made by the government towards individuals and corporations within the district must be honored within 34 business days, with an average deal completion time of only 10.5 business days. The fastest deal ever took only 8.5 hours to complete. "Here in Guangzhou, we have received the most direct and fastest government response, as well as the best opportunity to directly interface with relevant companies". AeroSpec CEO, Luhang Li also noted that it was rare for a government to arrange dedicated liaisons for each startup team, and the government's enthusiastic response and open-mindedness made a big impression on the startup teams. 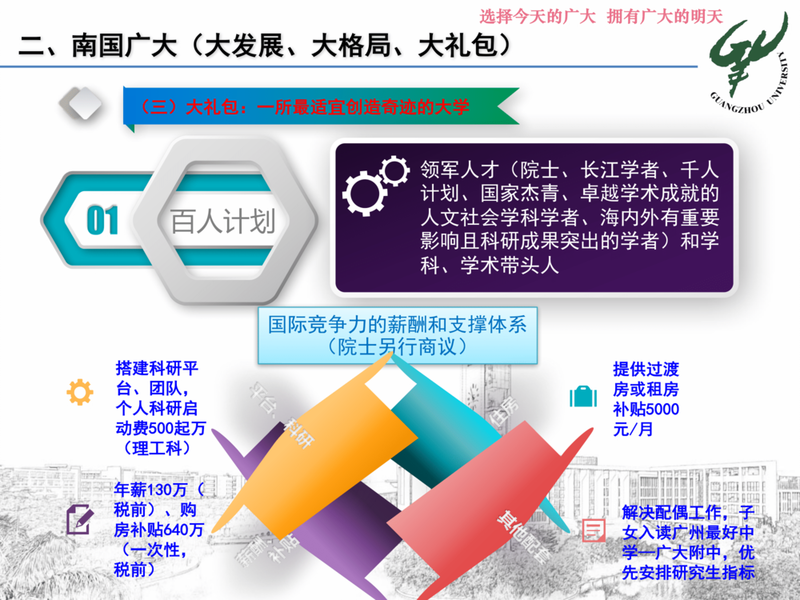 A state owned enterprise called the Guangzhou High-Level Talent Management Co. exists solely for the purpose of addressing any needs that innovators, their teams, and other high-level personnel may have throughout the process of moving to Guangzhou. Serving as a one-stop shop service window, the company helps individuals file necessary paperwork, arrange for comfortable living arrangements, and help their families settle down in Guangzhou, among other services. Currently, Huangpu District, GDD has been designated the only intellectual property rights reform pilot zone in the entire country, having established a series of new reforms that are designed to protect the IP of companies that ultimately decide to move or start up there. This makes Huangpu District, GDD the area with the strongest IP protection in all of China. MIT-CHIEF signed an MOU agreement with the Chamber of Commerce of Guangzhou Industrial Parks, an association representing the various innovation and industrial parks in Guangzhou, seeking to establish more North America-Guangzhou connection platforms. Overall, the event was a success for parties on both ends, with both the startups and the partners on the Guangzhou side being very satisfied with the results. We look forward to future collaborations and exchanges in the future. Deputy Secretary-General Ailin Diao taking notes during the meeting. A delegation of city leaders from Guangzhou, led by Deputy Secretary-General for the City of Guangzhou, Ailin Diao, visited Boston on June 5th - June 8th, to meet with innovation and entrepreneurship organizations from the Boston area while attending the International Mayors Climate Summit hosted by City of Boston Mayor, Martin J. Walsh. During the meeting, Deputy Secretary-General Diao spoke to the grand impression Boston had made upon him and his delegation, as well as the importance of the relationship between Boston and Guangzhou. His remarks reinforced the strategic vision for the Guangzhou Liaison Office in Boston, stressing the significance of the office as an all-inclusive platform for exploring, establishing, and promoting strategic partnerships and exchanges between the two great cities. BOSTON - A delegation from Guangzhou University hosted the “Guangzhou Science & Technology Innovation 'Thousand Talents Plan' Policy Forum” last Thursday, April 19th at the Boston Marriott Cambridge hotel in Kendall Square. 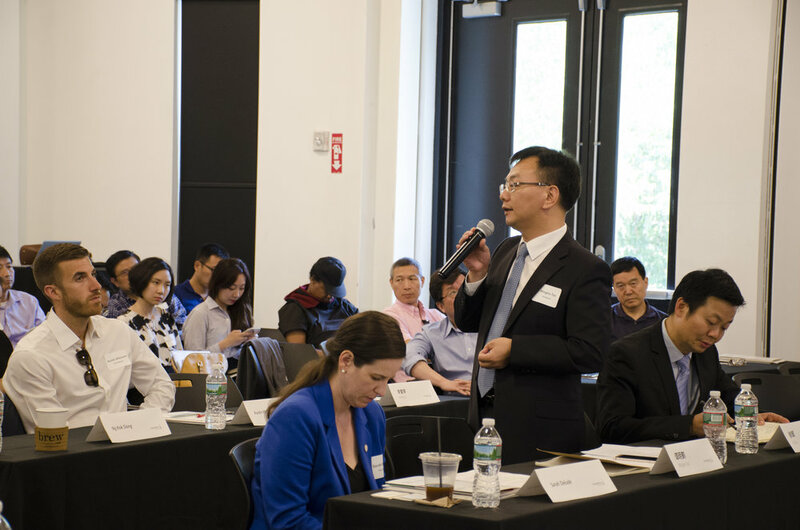 Held in partnership with the Guangzhou Liaison Office in Boston, the forum brought together esteemed professors and leaders from Guangzhou University with young professionals and talent in the Greater Boston area. The event consisted of a series of remarks given by the president of Guangzhou University, outlining his vision for the university and policies for overseas talent, followed by networking and breakfast. According to Guangzhou University President Minghai Wei, the publicly-funded university has seen its budget double over the past few years, with additional increases expected to come in the near future. In particular, Guangzhou University seeks to become a leader in five key areas of focus + two auxiliary fields. President Wei has expressed strong interest in the overseas talent of the Greater Boston area, and plans to strengthen and expand Guangzhou University's presence in the region. For more information on Guangzhou University and its opportunities for overseas talents, view the presentation slides used during the event. BOSTON - The Guangzhou Liaison Office in Boston team attended the Engineering & Technology Career Fair in Cabot Center at Northeastern University on February 1st, 2018. The event was quite packed, with hundreds of undergraduate and graduate students in attendance. We spoke with many students, answered their questions about our organization, and handed out promotional products to promote both opportunities in Guangzhou and our office's presence. Among these opportunities, we distributed flyers advertising Guangzhou University's professorship opportunities. The university is seeking to recruit top science and technology talent to join its academic ranks by offering some of the most competitive salaries and benefits in China. More information on this opportunity can be found here. We thoroughly enjoyed this opportunity to connect with the students of Northeastern. We were honored to have such a chance to strengthen ties between the city of Guangzhou and the city of Boston. Finally, thank you to Northeastern University and Bob Blanchette, who graciously hosted us during this event. We look forward to working together in the future. BOSTON - On January 3rd, 2018, the Guangzhou Liaison Office in Boston team visited MassChallenge with Sarah Delude, the International Business Strategy Manager from the Mayor's Office of Economic Development. MassChallenge is a non-profit organization dedicated to fostering innovation and entrepreneurship. It runs the world's largest startup accelerator, accepting over a hundred applicants each year, and awards almost $2 million in prizes, without taking equity. Its express mission is to foster a creative and inspired society in which everyone recognizes their ability to define their future and is empowered to maximize their impact. The team took a tour of MassChallenge with Naila Jahan, MassChallenge's Global Partnerships Coordinator, who showed us around the work spaces, conference rooms, and other gathering areas inside the MassChallenge facility. After the tour, our team sat down with Naila to get a more in depth explanation of MassChallenge, its business model, and its mission. The team gave a formal introduction for the Guangzhou Liaison Office in Boston, and also discussed opportunities for collaboration and partnership between MassChallenge and the city of Guangzhou. We thoroughly enjoyed our trip to MassChallenge, and would like to thank you Naila Jahan and Sarah Delude for helping make the visit possible. We look forward to working together with MassChallenge in the future. BOSTON - The Guangzhou Liaison Office in Boston was invited to attend the inauguration ceremony of Mayor Martin J. Walsh on Monday, as he took the oath of office for his second term on January 1st, 2018. Former Vice President Joe Biden presided over the ceremony at the Cutler Majestic Theater, and praised Walsh for his character and efforts to continue his tireless work on behalf of the people of Boston. BOSTON - Our office team met with Sarah Delude and James Colimon of the Global Affairs Team, Mayor's Office of Economic Development at Boston City Hall, for the purpose of discussing cooperation between the city of Boston and the city of Guangzhou. We reviewed the Memorandum of Understanding signed in June 2016 between the two cities, which agreed to further strengthen exchanges and cooperation in such fields as economy, trade, culture, education, technology, healthcare and medical research, tourism, and other fields of mutual interest. We look forward to working together with the city of Boston and establishing partnerships based on the framework outlined by this renewed Memorandum of Understanding. © 2018 Guangzhou Liaison Office in Boston. All Rights Reserved.